Tis the season of Christmas! 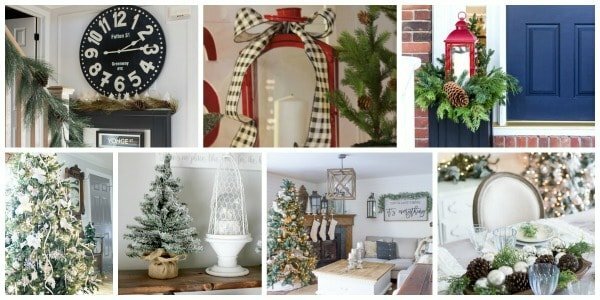 I am so thankful that your visiting the blog today for a tour of my farmhouse style Christmas decorating in the kitchen and dining room. Hopefully you have already made the stop at The Honeycomb Home. 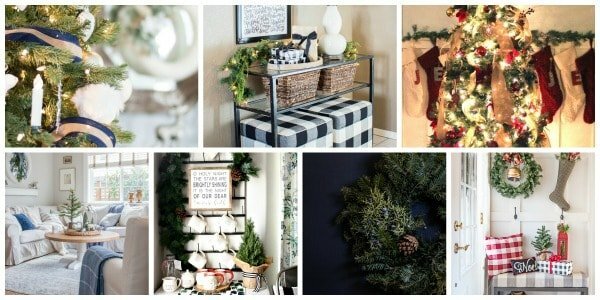 Grab a cup of hot chocolate or coffee and enjoy the photos from our home and then click on over to Green With Decor to see her beautiful home. A big thank you, Jenna, for hosting this huge group of talented bloggers for the Christmas Tour. When I thought about how I wanted Christmas to feel this year, I was taken back to the thought of a simple, handmade Christmas. I was inspired by nature and years in the past when families would have had very little to decorate with. I also didn’t have a large budget and wanted to use some of the things that I already had. Our dining room is very small and I chose to put a small Christmas tree in an old crock and then hang our handmade clay star ornaments on the tree. The clay stars on the grapevine wreath were also made by the children and I. The Christmas tree didn’t come with the tiny pinecones on it but with just a dab of hot glue, I was able add them for a little extra festive touch. 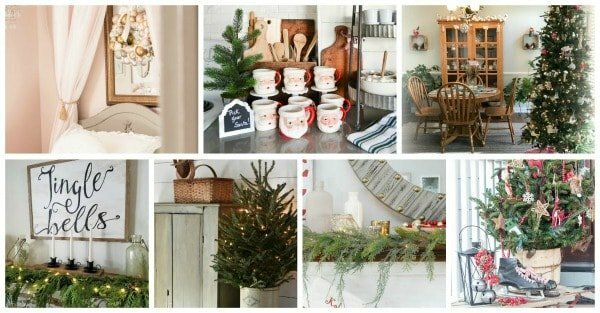 I kept it simple in the kitchen with inspiration still coming from nature and the feel of an old fashioned handmade Christmas. Real greenery, nuts in a bowl, spices that we use to make our winter stove top simmer and dried cranberries. The lights give such a cozy feel in the early mornings and evenings. Just a few simple touches in our kitchen this Christmas season but it's never really about having a perfectly put together space for me. It's about the memories that are created here. It's about Christmas music playing, children helping bake and the memories that are created together. Thanks for stopping by and don't forget to visit the others on the tour! Merry Christmas! 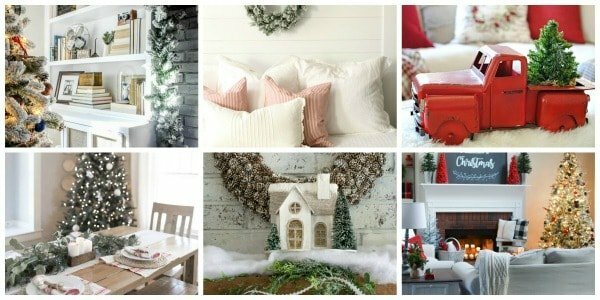 Please take a moment to visit these talented friends and their homes decorated for the Christmas season.